Accidents do not happen. They are caused. The result? Broken teeth, fractured ribs, infected gum, permanent incapacity or even death. These are called personal injuries and can include psychological trauma. They are more serious than any property damage and other consequential loss. They can arise from a road traffic accident, workplace accident, product defects or in a public place. The persons that cause the personal injuries may be a negligent motorist, a negligent dentist or doctor who does not follow standard practice, a negligent employer who does not provide a safe workplace or an institution. What can you do? 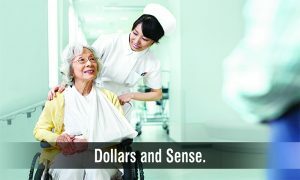 You can make a personal injury claim in Singapore to receive compensation. But it is more important than dollars and cents for one to send a strong signal – that such civil wrongs are not acceptable. Ultimately, it may force a change in human behaviour or radical improvement in a system or profession. Why do you need a personal injury lawyer or civil litigator? We understand that no amount of money can compensate you for what you have gone through. As your experienced personal injury lawyer in Singapore, we can advise you on the adequacy of the compensation sum based on past awards and liaise with the Public Trustee, if necessary. To expedite the matter and contain costs, we will use our best endeavour to negotiate a settlement without compromising your interest. Evidence and future prognosis is important. We will gather all relevant evidence from the doctor and other relevant parties and compile your different heads of claim and loss and damage, present and future. If mediation is necessary, we will attend with you. If the facts and law are on your side, you can take a bold step for yourself and others to commence a legal action for negligence or medical negligence, if negotiation fails. Nobody should be left without a remedy or right of action just because he or she lacks the financial means. We are here for you and with you. Life is too precious to be an accident. Personal Injury litigation is too complex to be left to chance.